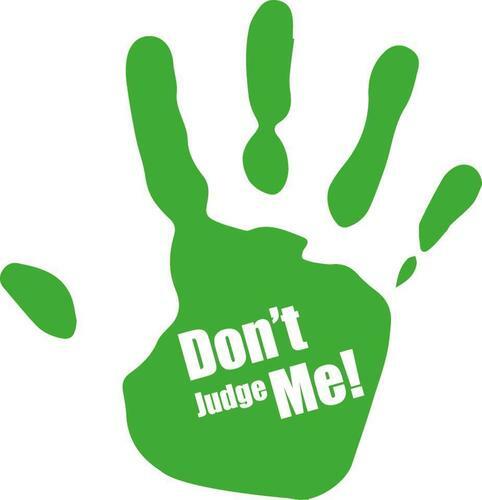 How many times have we heard “Don’t judge me until you’ve walked a mile in my shoes.” Or “You have no idea how I feel on the inside so stop judging me on the outside.” And one of the most quoted Bible verses is Matthew 7:1 ~ Judge not, that ye be not judged. And yet I confess to you that I judge people. When Jesus spoke these Words, it was a warning to His disciples not to be like the religious Pharisees. Not to look at the lives of others and make our word law to determine right and wrong by our standards and what we deemed as acceptable. He was not referring to scriptural evaluation of living standards. And if the scripture is the standard for judging I can assure you I have a few beams in my eye that need removing before I ever cast judgment on any one. But… I’m still gonna judge, so don’t judge me for it. That statement is almost as ridiculous as the man I heard say “I’m Catholic but my wife is a practicing Catholic.” He was telling this to the cute little Amish man that I love at Zinck’s Inn in Berlin, Ohio. He had ask him to explain the Amish faith, and once he had shared the Amish faith background the man felt the need to justify his life by his practicing, non-practicing statement. I would have laughed out loud had it not reminded me of a few Baptist I know. I know, I know, there I go judging again. Is that not a form of judging to look upon the life of another and examine their effectiveness and legitimacy for the cause of Christ? Sure it is. That’s not judging them by my standards, which is often pathetic, but it’s judging them by the Word of God. Does what they’re saying line up with what God says we’re supposed to do? Hello practicing, non-practicing whatever denomination you cling to. It’s not an unwarranted act of judgment when I examine your life with an attitude of concern for both your soul and the souls for which you touch. It’s my greatest fear that I’m going to end up with blood on my hands because I failed to tell someone the truth about salvation. And by the way, it’s not biblical to be a non-practicing anything. If you’re not serving God, you’re serving Satan. Plain and simple. So before you judge me for judging you ask yourself this question. When I read those words I can’t help but heap conviction upon my own soul. That’s a righteous judgment. The one that forces me to look back upon myself with the same measure and ask “when is the last time?” I do teach the Word of God, I do share the gospel in this “Jesus Chick” place, but I am a far cry from the measure of Christ’s expectation of the church. I do not die daily. I do not always pick up my cross and carry it boldly. SometimesI lay it down and sit on it for fear of being too “preacher-y”. It is in those times that I am a non-practicing Christian. Because if you look at the standard of Christianity in scripture they didn’t lay it down. They were crucified on it. So don’t judge me for judging you. I just need to know if you know Jesus.